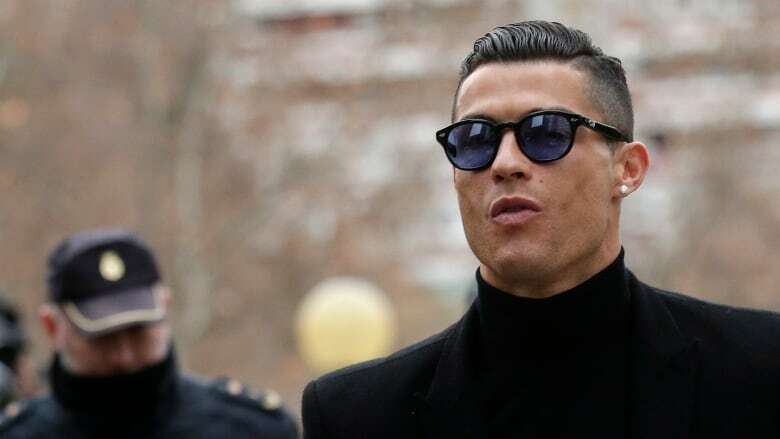 Portuguese soccer star Cristiano Ronaldo was fined almost 19 million euros ($28.7 million Cdn) for tax fraud but will avoid serving a 23-month prison sentence after agreeing to a deal. Nearly four years after an investigation was opened, Ronaldo appeared at a court in Madrid on Tuesday to plead guilty to tax fraud and agree to a fine of nearly 19 million euros ($28.7 million Cdn). Former Real Madrid player Xabi Alonso also was in court in Madrid on Tuesday. He is accused of defrauding tax authorities of about 2 million euros ($3.032 million Cdn) from 2010-12. He could be sentenced to five years in prison and ordered to pay a fine of 4 million euros ($6.064 million Cdn), in addition to the amount allegedly defrauded. The charges are related to Alonso's income from image rights. He played for Madrid from 2009-14. Messi was found guilty three years ago, along with his father, on three counts of defrauding tax authorities of 4.1 million euros (then $6.2 million Cdn) on income made from image rights.